Only 15 people who acquire a special version of the Submersible Chrono Guillaume Néry Edition will be invited to Mo’orea, where Guillaume Néry lives. 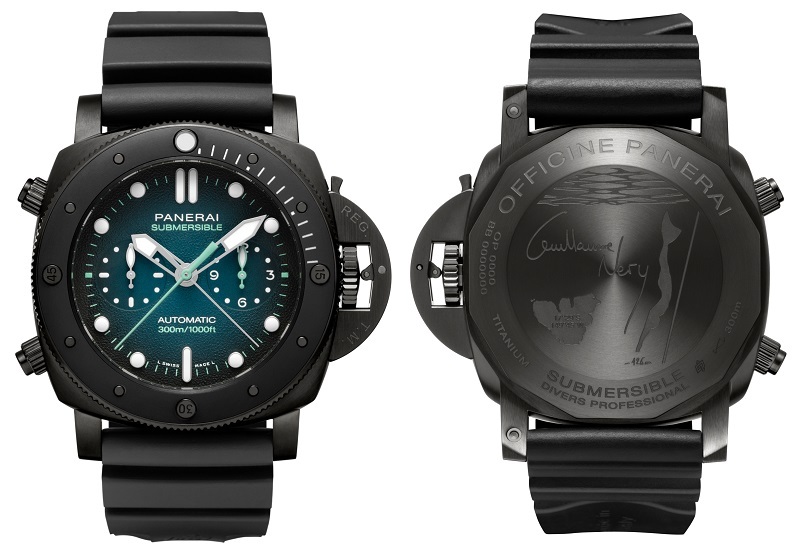 You heard it here first: right now, at the 2019 Salon International de la Haute Horlogerie (SIHH) annual watch fair in Geneva, Panerai is unveiling a special iteration of the Panerai Submersible Chrono Guillaume Néry Edition with an exclusive experience attached. Named after the French freediving champion, who broke the freediving world record four times and won the world champion title twice, the line honours the Manufacture’s glorious legacy as sole watchmaker of the Italian Navy for decades. 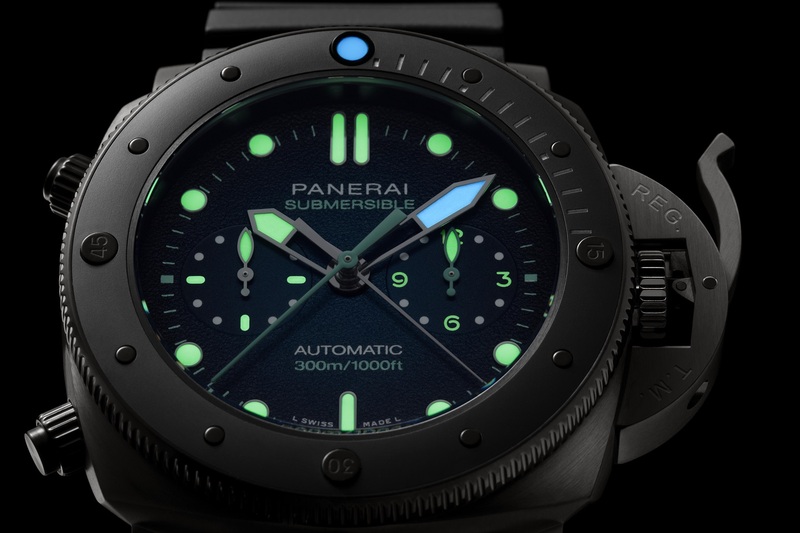 The new limited edition model is a professional diving watch, water-resistant to 300m and fitted with a unidirectional rotating bezel for reliable calculation of dive duration. Legibility is guaranteed with luminous white markers and accents – including the hands – in stunning turquoise against the textured deep-sea blue and black palette. Coated with Diamond-Like-Carbon for additional resistance to scratches and impact, the 47mm titanium watch is also a precision chronograph with a flyback function and instant seconds reset, proving functionality can be technically sophisticated and simply cool. The P.9100 automatic calibre underlines this philosophy with an impressive three-day power reserve developed in-house at the Manufacture in Neuchâtel. Black rubber straps and a case back engraved with Néry’s signature as well as a map of the island of Mo’orea, where he hails from, complete the sporty aesthetic. While wearing such a beautiful piece is an occasion in itself, Panerai has made the purchase of this model, limited to just 15 pieces, even more exclusive. The fortunate few who acquire this watch will be invited to visit Néry in Mo’orea, a South Pacific island in French Polynesia. There, they will join him in the plunging depths of the ocean in an itinerary that includes diving and whale-watching. The trip promises to be an adventure of a lifetime with one of the greatest international ambassadors of the ocean, whose respect for and symbiotic relationship with the deep blue is matched by that of the accomplished watchmaker.